WASHINGTON — Over 57,000 volunteers flocked to Arlington National Cemetery in mid-December to help place wreaths on each headstone ahead of the holiday season. Now, the cemetery needs volunteers again. “This is a special day where the wreaths placed at these hallowed grounds during the holiday season in remembrance and honor of our nation’s fallen service members and their families will be respectfully removed by volunteers,” said Arlington National Cemetery Operations Director Micheal Migliara. The wreaths were placed Dec. 15 by volunteers with Wreaths Across America, a nonprofit organization that provides wreaths every headstone of a service member who died in service to their country. When volunteers place wreaths on the headstones, they are asked to read each name aloud to honor the soldier’s memory. 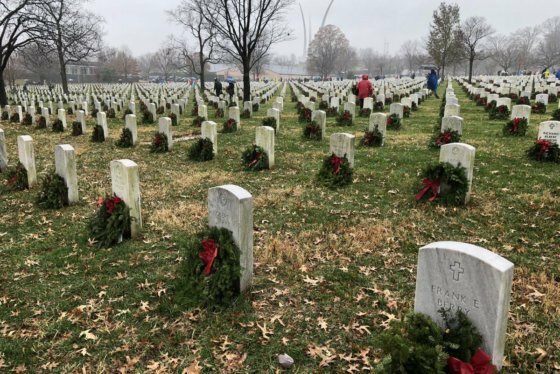 While Arlington National Cemetery is the primary location for National Wreaths Across America day, 1.8 million graves across the country received wreaths last December. Almost 57,000 volunteers gathered on a rainy and cold Saturday morning for the Wreaths Across America event at Arlington National Cemetery. See photos and videos. Those who wish to volunteer with wreath removal on Saturday are advised to arrive early, although they must remain in their vehicles until the cemetery opens at 8 a.m. Volunteers using ride-share apps or taxis to get to Arlington National Cemetery are asked to be dropped off adjacent to the Arlington Cemetery Metro stop. Migliara said volunteers are encouraged to use all four entrances to the cemetery: Memorial Avenue, Ord and Weitzel gate, South gate and, for Department of Defense cardholders, the Old Post Chapel gate. The high volume of volunteers may cause traffic congestion or delays on nearby streets, Migliara warned. Follow WTOP’s Traffic Center for up-to-the-minute road conditions. 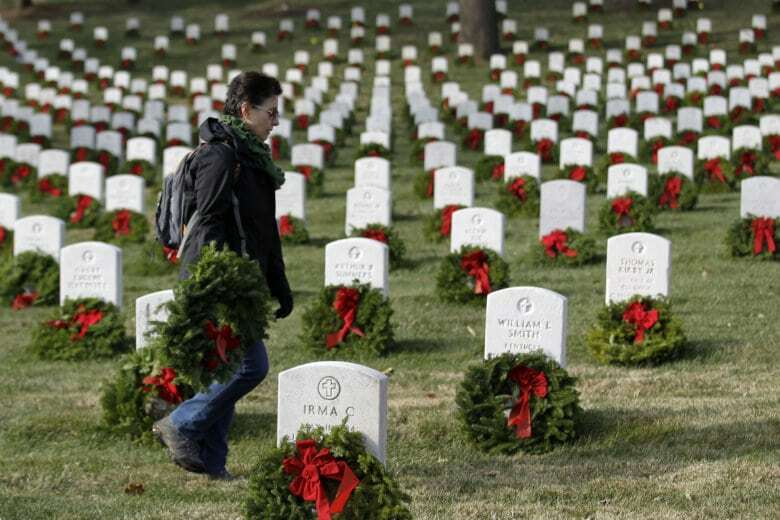 Volunteers are asked to only remove Wreaths Across America wreaths, no other decorations, from the headstones. Dumpsters will be positioned throughout the cemetery to deposit the wreaths. Karen Worcester, executive director for Wreaths Across America, said in December that the wreaths, and the volunteerism required to place them, primarily serve as a lesson for future generations.